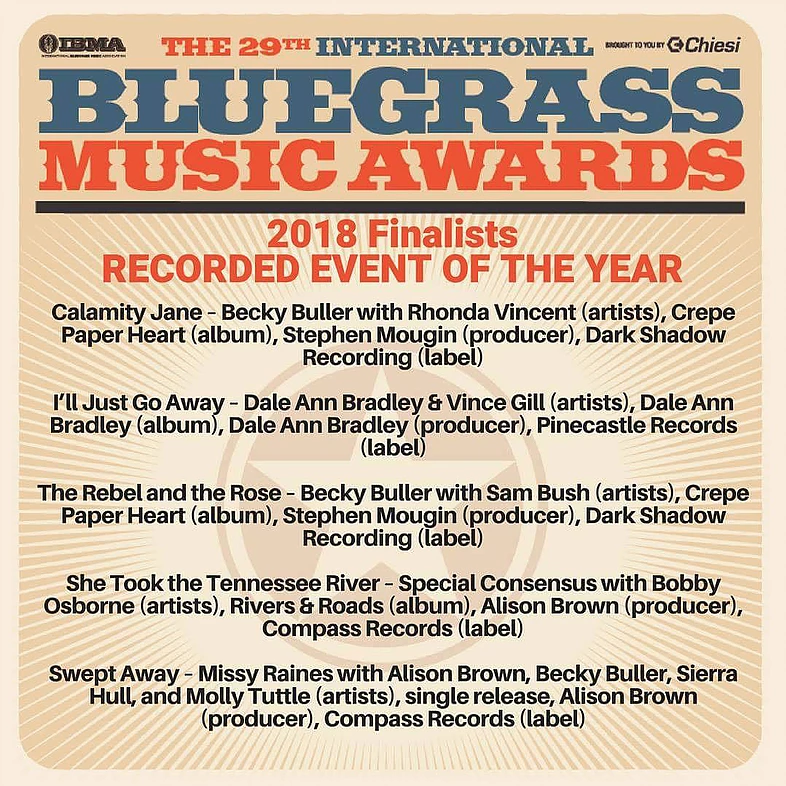 I am completely floored to be nominated for six International Bluegrass Music Association (IBMA) awards. This is an unbelievable honor!!! 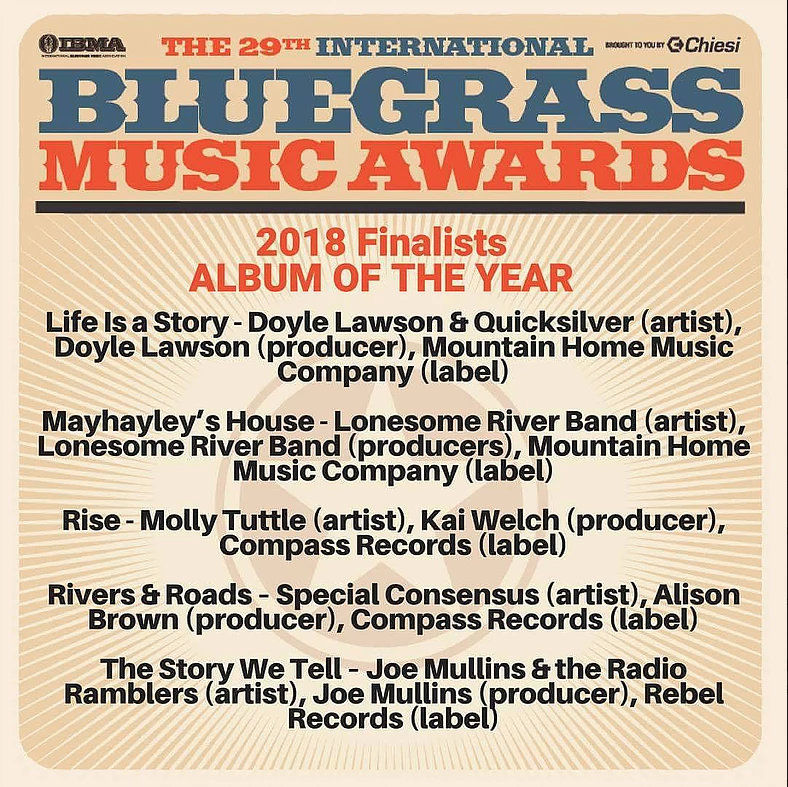 Thank you to IBMA and the incredible bluegrass community for supporting me in this way. Lots of love to you all!! It is a wonderful feeling to be recognized among so many other fantastic and deserving artists! You can see the full list of nominees HERE. The IBMA Awards will take place on Thursday, September 27, at the Duke Energy Performing Arts Center in Raleigh, North Carolina.